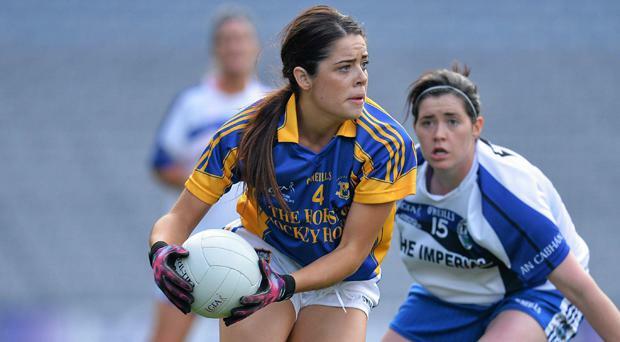 Tipperary captain Samantha Lambert said that her team won their National Football League title in honor of former teammate Rachel Kenneally. The touching tribute for Kenneally, who sadly lost her battle with cancer in March aged 26, came after Lambert raised the Lidl Division 2 NFL trophy aloft after a thrilling encounter with Cavan. The game in Parnell Park saw Tipperary edge Cavan on a scoreline of 0-21 to 3-11, something that Lambert said her former teammate, and friend, would have been proud of. “I’m sure we did her proud,” Lambert said. It was clear that the occasion was an emotional one for Lambert, who often lined out next to Kenneally in Tipperary’s defence. As her voice quivered she remembered her friend who so often played alongside her. “Rachel is always in my thoughts,” she said.